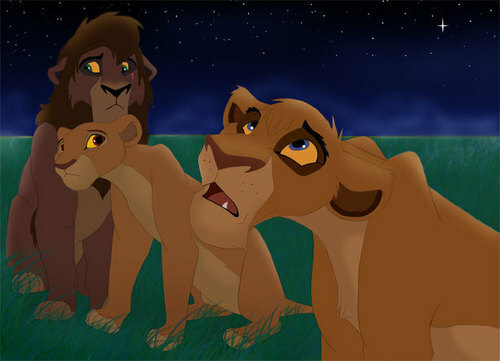 Kiara, Kovu & Vitani. . Wallpaper and background images in the The Lion King 2:Simba's Pride club tagged: lion 2 king the pride simbas fanart kiara kovu vitani. Awww. Maybe they are thinking about poor Nuka? Kopa is thinking about his family. I believe they're thing of Nuka. Vitani was close to him. I feel sorry for Vitani!